Those who are doing SEO might be know about Pinterest.Pinterest is the most useful social networking site for promoting your business,website or blog.Pinterest is recently entered into the internet but now its has a lots of users.But some of the peoples don't know how to use Pinterest and how to promote their site using Pinterest pin board.So today i will tell you about it. Then click on create add on the top right side. Then click on create a board. Make a Pin Board in your niche. 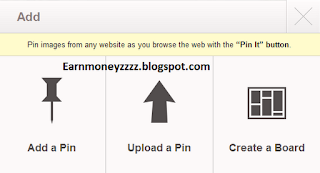 Then click on add a pin. Then put the link of your post and hit find image. After this choice your pin board,which you created before. 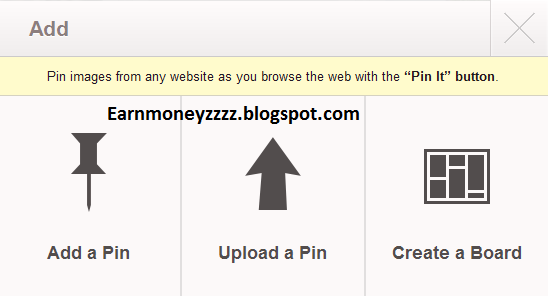 Describe your pin and click on pin it. Thanks for sharing this tips, I will try it.